Our Inflatable branded race arches are used at Triathlons, Marathons, Rallies and Charity events. These custom inflatable race arches can be fully branded to front and back, this branding can be removable so they can easily be rebranded or sponsors can be swapped in future. We can design your arch to be totally printed and to any size from just 2m wide to 14m. We can also create a custom inflatable arch that incorporates a product or shape or rounded at the centre of the arches cross bar. Curved or square in design these Inflatable sports arches are very versatile in their nature. If you have a completely unique inflatable idea or concept then we can work with this to create something totally new in design. Glow can use different materials to suit most budgets and events and also as a sealed or stitched inflatable arch depending on whether you have power on site. 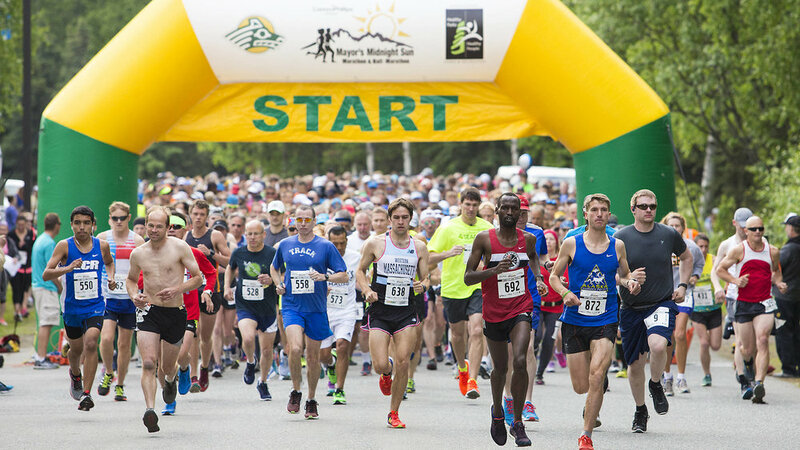 Check out some of the impressive inflatable start finish lines below. 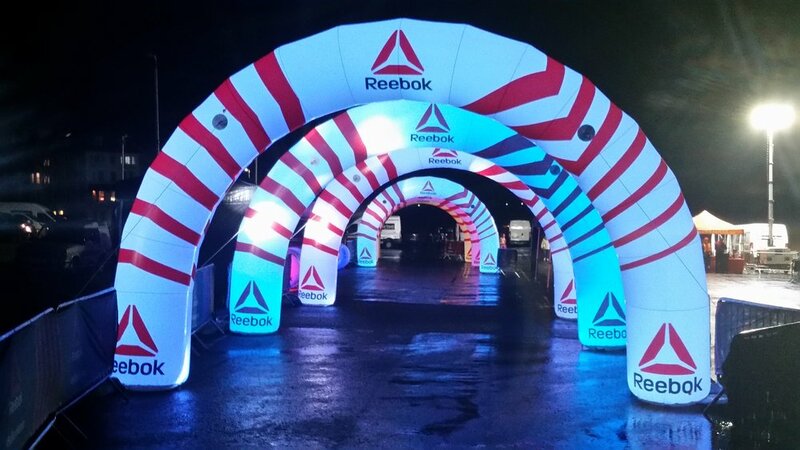 Glow can offer a full installation service for your branded inflatable arch so we can simply arrive on the morning of your event and set it up ready for the race to begin.